Whether you own a brick-and-mortar store or an online business, it is becoming more and more commonplace to accept electronic signatures as well as physical ones. Current technology has made it easy to use esignatures for business online, and if you don't have a tool to e-sign documents then you might be missing out on big potential business deals. The beauty of an e-signature is that it allows you sign from anywhere, at any time. Not only is Fill Any PDF a versatile tool, it’s a tool that will make you more versatile. Be wary that you don’t fall behind the times and make sure that you’re prepared to facilitate electronic signatures today! An electronic signature (also known as an e-signature) is a new method by which business entities and individuals alike are able to sign for legally binding documents. This allows for the flexibility of signing from any internet connected device, be it a phone, a tablet, or a laptop computer. E-signatures in place of physical (or analogue) signatures helps conserve natural resources by negating the need for paper waste. Additionally, Fill Any PDF is a secure software, so electronic forgery is just as rare, if not more rare, than analogue forgery. Sign business documents quickly and seamlessly. We bring to you the highest standards in electronic signature services. 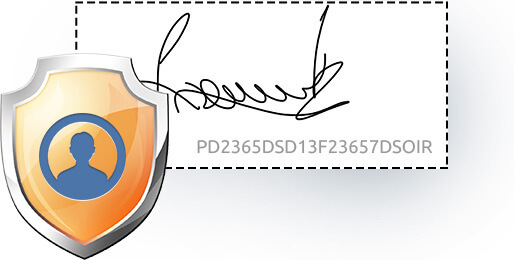 Our electronic signature tool is simple to use. Offering a myriad of benefits, it is a must-have tool for every business. Explore its features online to determine exactly what it can do for your business. When you are trying to finalize a business agreement, it can take a lot of time, money and effort to handle the agreement on printed paper. Printing the agreement is a waste of paper, and snail mail costs valuable time and money in a fast-paced marketplace. With Fill Any PDF, everyone can see the document online, add their electronic signature, and see when the other people were able to e-sign the form as well. These documents are tamper-proof, which helps to ensure the safety and security of everyone involved. Using an e-signature means that you can send the documents instantly, instead of having to wait for the mail service to deliver the printed pages. The fast, online delivery means that you can close the deal in a timely manner, meaning that you’ll never have to worry about another big delay due to papers lost in the mail. Our tool is tested and proven, and it is very simple to use. By using our editor to sign documents online, you can save time and money while making it easier to grow your business. Contact us to learn more about the benefits that you can gain by using our low-priced online signature tool. Electronic signatures are legal in most countries around the world. Uniform Electronic Transactions Act (UETA). Fill Any PDF is the lowest priced PDF writer on the market, and we have thoroughly tested the application to make sure that you have access to top-of-the-line features each time you use our tool. For a low monthly fee, you gain access to a number of high-end features that are only available through larger companies. Contact us today to learn more about the ways you can edit PDF online.